WEWS NewsChannel 5 Consumer Advocate Jonathan Walsh will host a live chat from 5-6:30 p.m. on Monday, March 2. Others participating in the live chat include experts from the Federal Trade Commission, the Better Business Bureau, the Cuyahoga County Department of Consumer Affairs, and the Ohio Attorney General's Office. 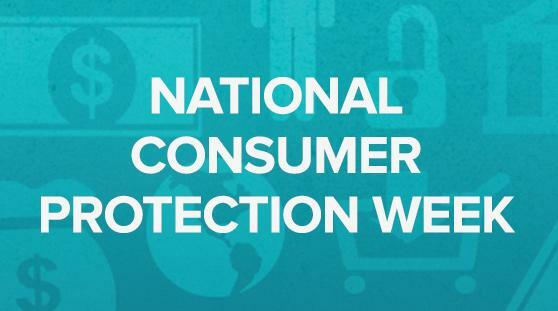 Welcome to Nat'l Consumer Protection Week and to our Consumer chat. Thanks to Channel 5 for letting us crash the party! Hello. My name is Jon Miller Steiger, and I am Director of the Cleveland office of the Federal Trade Commission. The opinions that I'll be sharing today do not necessarily reflect the views of the Commission or any of its Commissioners. Having said that, we're here and eager to chat about consumer issues! Hello. My name is Fil de Banate, and I'm an attorney at the Cleveland office of the Federal Trade Commission. The opinions that I will share with you do not necessarily reflect the views of the Commission or any of its Commissioners. FTC just released the top 10 complaints it received in 2014, including the top 10 from Ohio consumers. Can you guess? These views are mine and not those of the Commission or any Commissioner. Bored during the #JoshMccown conf call? Tweet your #ConsumerChat Q's. These views are mine and not those of the Commission or any of the Commissioners. Do you have a complaint that's in one of these Top 10 categories? Or maybe something different? Let the @FTC know. File a complaint by calling 877.FTC.HELP (877.382.4357) or visiting ftc.gov/complaint. Hi, folks in the chat room! Ever wonder how often you should get your free credit report? These views are mine and not the views of the Commission or Commissioners. #ConsumerChat: On social, join the convo by using hashtag #ConsumerChat. You can also call 216-241-7678 or text helpnow216@gmail.com. Every 12 months, you get 1, free credit report from Equifax, Experian, and TransUnion. If you haven't checked your credit report in a long time, you should order all 3 at the same time and review them carefully. If you have checked your credit report more recently, you might want to space out when you get your free reports. For example, you can get your Equifax report in January, your Experian report in May, and your TransUnion report in September. This way you get 3 snapshots of your credit report throughout the year. For the Home Loan question: Any loan should start with you pulling your credit report and taking 3 - 6 months to clean it up from past-due bills, unpaid balances, closing low-balance accounts. If you're a first-time home buyer, you might want to contact a non-profit housing counseling agency to see if they have classes. If not, find a bank that is willing to help you with your credit, etc. The better shape your credit is, the better the loan will be. You should also save money for a down-payment. Ten thousand dollars is an amount to shoot for. Saving money does two things for you: 1) it helps you have cash for costs that you'll need at the beginning. 2) it'll show you how hard it is to put aside a mortgage payment every month. For several years now, the top complaint in the nation has been Identity Theft. 2014 is no different. Do you know the red flags of identity theft? Red Flags of ID theft: getting medical bills for procedures that you did NOT have; Collections calls for bills that are NOT yours; Items on your credit report that are NOT yours. Even if you don't see any Red Flags of ID theft, you should obtain a copy of your credit report every year and go through it to make sure that everything is A-OK.
After ID Theft and debt collection, impostor scams are among the biggest problems that we get complaints about. Do you know what to look for and how to protect yourself? Other Red Flags of ID theft: notice from the IRS that someone used your Social Security number; businesses turn down your checks; you are turned down unexpectedly for a loan or a job. For more information on Identity Theft, check out www.ftc.gov/idtheft. One version of impostor scam is tech support scam where a caller tells you to go to a website that shows your computer is infected. They then either sell you a product to fix the fake problem or install malware that hijacks your computer until you pay the "ransom"! Hi I met a man on eharmony, and I think he has hacked into my yahoo account through a photo he sent me. I called Experian, and had my credit cards put on a 90 day fraud alert, I called my bank alerted them, I changed all my passwords, and I reported him to i3C.gov. I traced his IP address to Quincy Wash. and alerted police there. But some of his emails trace to Lockport NY. I keep checking my email account and every few days it's logged onto from another country. Microsoft or legit virus protection companies won't monitor your computer for infection. Don't believe it if someone says that's what they're doing. Chardonnay: Thanks for sharing your story! It's a good reminder that computer viruses or hacking can be spread by clicking on attachments. . . . Thank you Jon. I fear that's what I'm going to have to do.